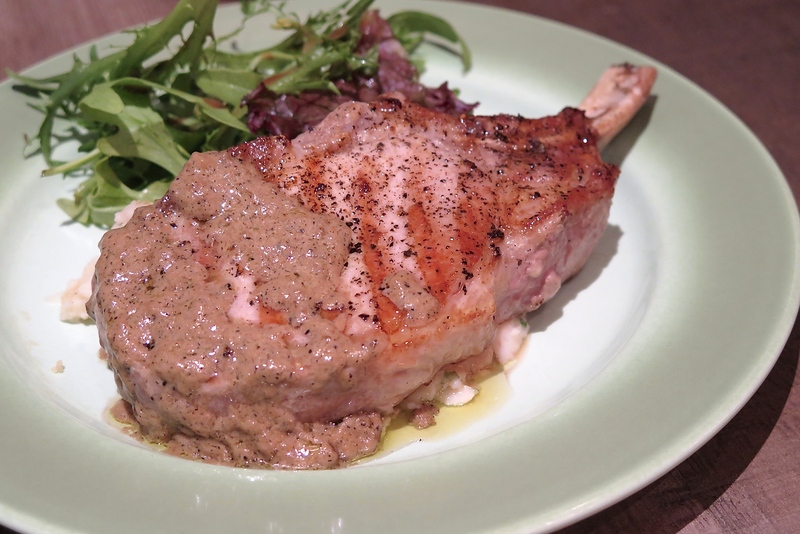 Housed within Forum The Shopping Mall on the main shopping belt of Orchard Road – The Benjamins, or better known as Benjamin Browns since 2012 have recently rebranded themselves with a refreshed look and revamped menu. The Bistro and Bakery is a combination of casual dining and elevated European cuisine, taking pride in serving only premium ingredients such as stress-free chicken, grass-fed cattle that are free from antibiotics and hormones in their dishes. Breads, pastries and cakes are baked daily at The Benjamins‘ central kitchen and delivered fresh daily to the bistro. 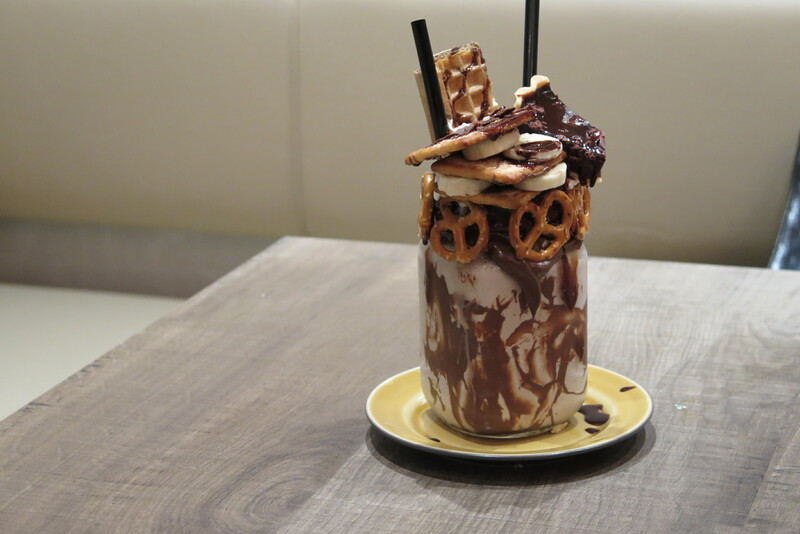 Hoping to draw in the younger customers with their trendy “Over The Top Shakes” is The Benjamins‘ first attempt to diversify their customer base of mostly expats and families with children. 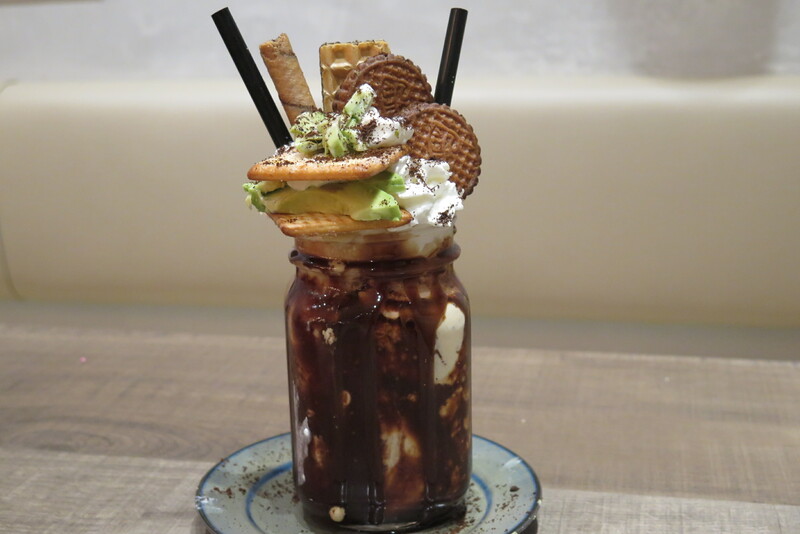 Stealing the limelight on the food social media is The Benjamins latest creation named – Over The Top Shakes, that are basically milkshakes flowing over the top of the container with ridiculous amount of dessert pieces such as wafer sticks, cookies, pretzels, chocolate, whipped cream and fairy floss. Each shake goes between $12 to $16++, you’ll get the most epic milkshake of your life. Says Pearlyn, owner of The Benjamins, “our milkshakes are made from imported vanilla bean ice cream which are more premium than the regular ones in the market, it therefore justified the pricing of our milkshakes”. Popular milkshake flavours include the Nutella Banana, Coffee & Avocado, Strawberry Cheesecake and the Old School Classic Vanilla. The Nutella Banana is clearly my favourite amongst all those I tried, and you can’t go wrong with the perfect combination of chocolate and banana. Exercising patience at times of peak hours especially on the weekend is favourable to the success of getting your hands on one of these Over The Top Shakes, because it takes extra love, care and effort to put everything together; therefore please be kinder to the guys whom have showed you love. The Benjamins has an exciting food menu that features European cuisine with a contemporary flair. Look out for the Chef’s recommendations on the menu, and also the chalk-written menu mounted on the wall. 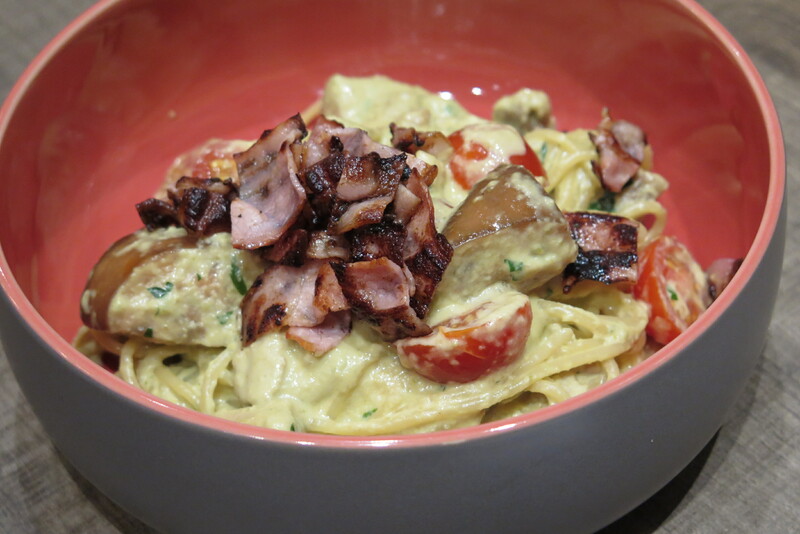 Some of the standout dishes I had include the Sizzling Beef Chunks (300gm $25++); Canadian Pork Chop with Mash (200gm $25++) and the new pasta dish – Lemak Chilli Padi Pasta ($16++), comprising chunks of chicken and bacon on the al dente spaghetti tossed in a creamy “spicy lemak” sauce made with coconut milk and chilli padi, which tasted sort of like the Thai green curry. 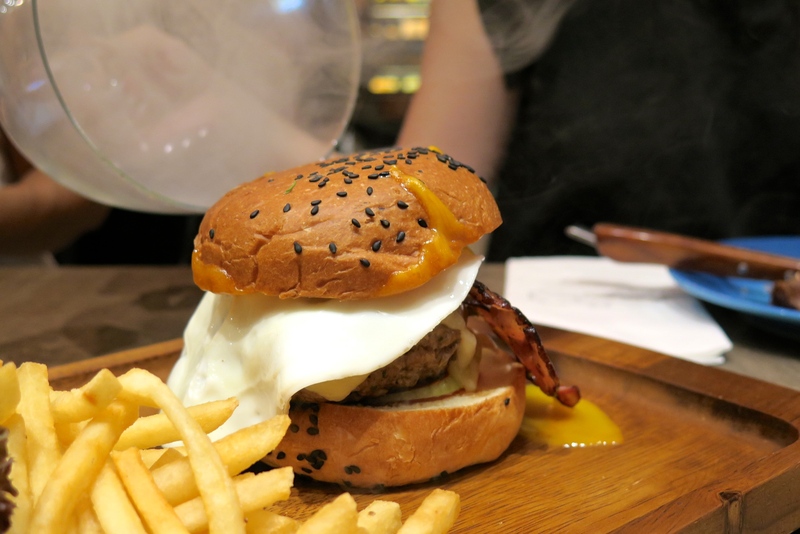 Of special mention is the Benjamin Burger ($25++) dramatically presented with a smoke-filled glass cloche. 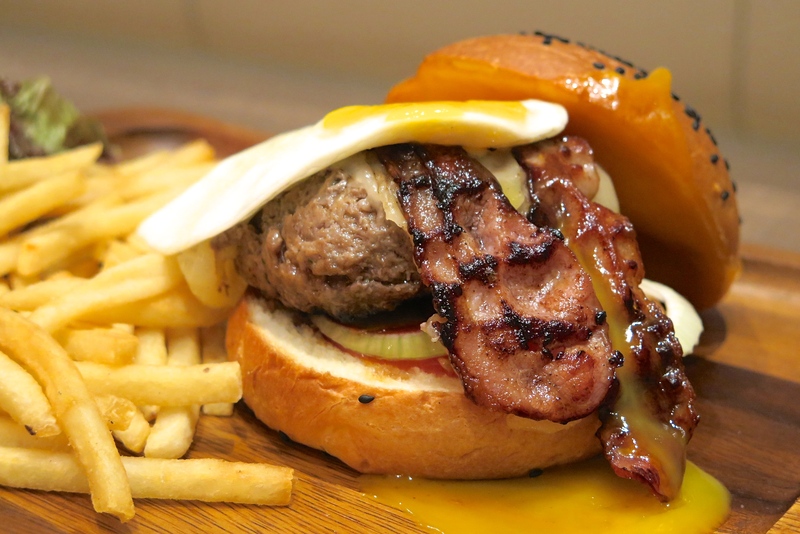 The beef patty was succulent and celebrated with crisp bacon stripes, fried egg, onions, tomatoes and two types of cheese. 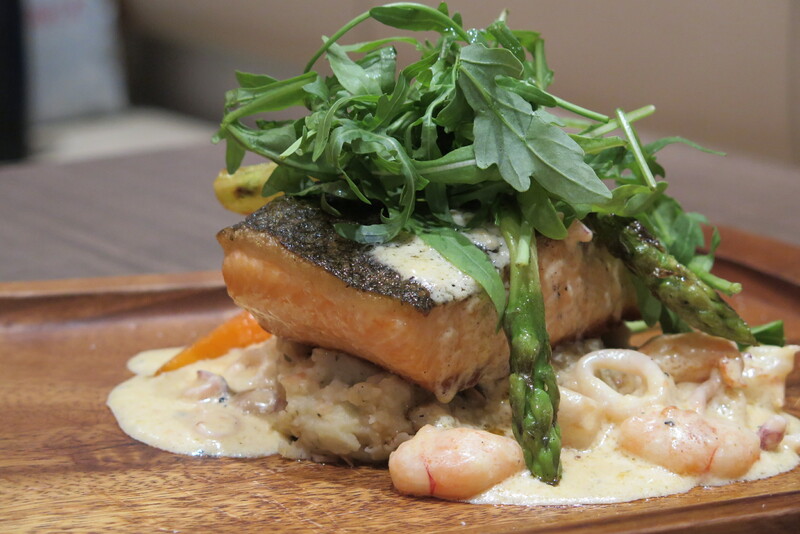 For seafood lovers, try the Benjamin’s Ocean Plate ($26++) comprising a salmon steak on a mash of fresh shrimps and squid. 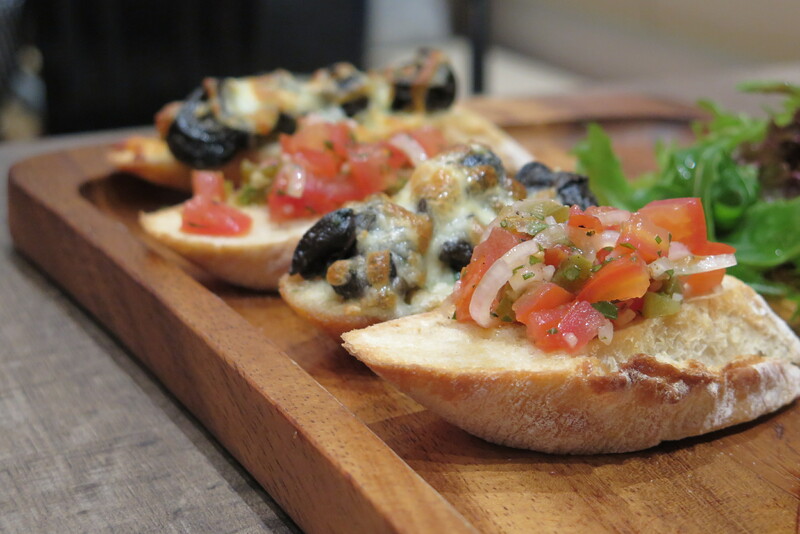 To perfectly complement the mains, appetisers such as the Escargot and Tomato Bruschetta ($19++) would be something worth considering. For desserts, a selection of house-baked cakes and ice cream, including a waffle with salted caramel sauce and vanilla bean ice cream are also available for choice. Some might expect the prices on The Benjamins menu as slightly high, but to some others, it is a price that is regard as high value. 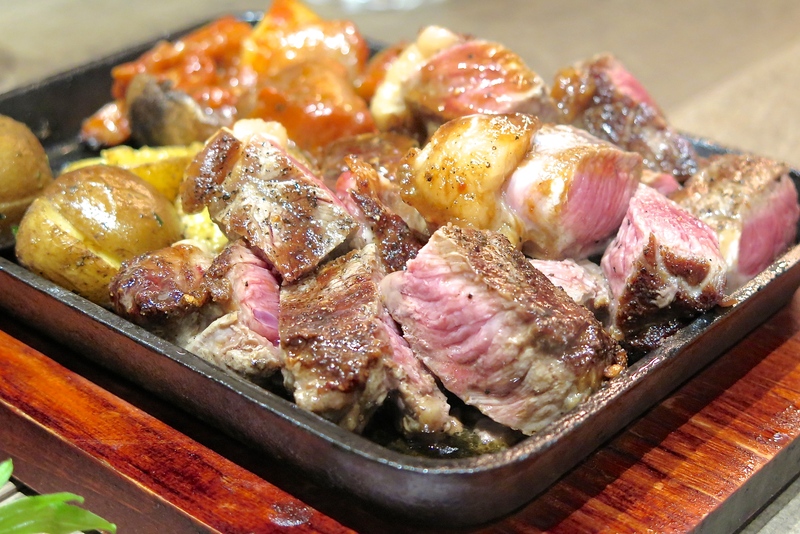 If you ask me for recommendations, I would definitely eat the Sizzling beef chunks and the Canadian pork chop again – both dishes are something that I’ll pay for good taste and quality. Might skip the appetisers and just order a main or something bigger for sharing. 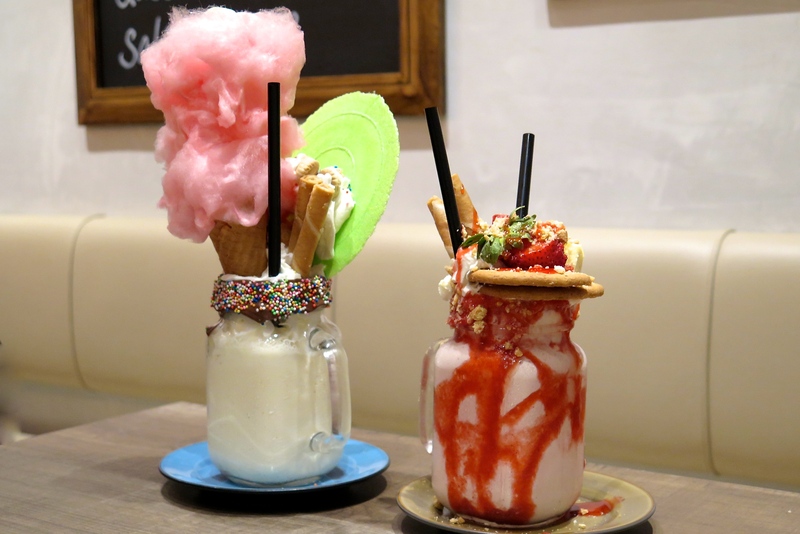 The Over The Top Shakes may seems like a day’s worth of sugar and calories, you probably still want to have it because these pretty attractive things are simply too irresistible to say no.